The 42-turbine wind energy project is a project of PowerNET Developments (Pty) Ltd, a joint venture between South African energy consultancy NETGroup and Lesotho’s Powerdev Group. Lesotho’s first wind power facility, the 25-35 megawatt project would be located near the diamond mine of Letseng La Terai in the highlands of Lesotho. The company is planning to sell the wind power to Lesotho Electricity Company, a Lesotho government company. The wind farm site falls within the breeding, roosting and foraging grounds of important populations of both the Bearded vulture and the Cape vulture. International studies show that vultures are prone to colliding with wind turbines, and BirdLife South Africa is concerned that this wind farm development could have severe impacts on these two threatened vulture species. The Cape vulture is endemic to Southern Africa, while the Bearded vulture is found in mountains across Europe, Asia and Africa. The Cape vulture, which is only found in southern Africa, is currently listed as Vulnerable to extinction on the IUCN Red List of Threatened Species. The Lesotho Highlands are of global significance for Cape vultures as the area is used for breeding, roosting and foraging. The Environmental Impact Statement, indicated the anticipated impacts of the project on highly unique and sensitive birds will be of high to very high negative significance, making the project unsustainable. In response to these concerns, the developer has proposed mitigation measures, including the use of radar linked to a system that would automatically shut turbines down when birds are at risk of colliding. “The problem is that at this stage we simply do not have enough information to be sure that these mitigation measures will be effective in substantially reducing the risk to the vultures,” said Birds and Renewable Energy Manager at BirdLife South Africa Samantha Ralston. “It is also not clear if the project would be feasible should these measures be implemented as wind turbines do not generate electricity when they are not turning,” she said. In order to determine if mitigation will be effective and feasible, more research is needed to understand how often, at what height and under what conditions the birds move through the site. Lesotho’s Department of Environment recognized this and issued the environmental clearance for an initial period of one year in order to assess the bird mortality risks associated with the project. The department reserves the right to revoke the authorization if there are environmental concerns caused by the project that are beyond mitigation. 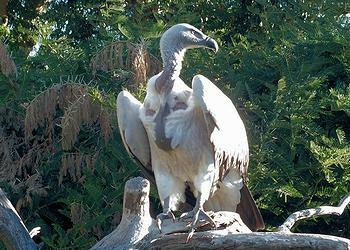 “We are really pleased that the Director of Environment, Mr. Damane, recognizes that this project potentially poses a severe risk to vultures and we understand that the decision was an attempt to find a compromise between the needs of the developer and the concerns of conservationists,” said Ralston. BirdLife South Africa is concerned that the decision of the Lesotho government to issue the environmental clearance is procedurally flawed and is not in line with the internationally-recognized precautionary principle, which prescribes a risk-averse and cautious approach to environmental impacts. “The additional studies required by the Record of Decision should have been completed prior to the approval as this information should have informed the decision,” she said. There is also no assurance that stakeholders will continue to have the opportunity to provide input on the additional reports or seek recourse should they be dissatisfied with the outcome. “We are extremely concerned that the project could have severe impacts on both Cape vultures and Bearded vultures,” said Dr. Tim Stowe, director of international operations at the Royal Society for the Protection of Birds, BirdLife’s Partner in the UK. “These magnificent birds are one of the key reasons that the Maloti-Drakensberg Park has been identified as a transboundary World Heritage Site – an area of global importance for which both Lesotho and South Africa have responsibility,” said Stowe. While the proposed wind farm does not fall within the Maloti-Drakensberg Park World Heritage Site, vultures move great distances, transcending geographical boundaries to forage and conservationists are concerned that the wind farm will pose a threat to the overall vulture population in the region. BirdLife South Africa recognizes the importance of clean energy generation, particularly in light of global climate change, and supports the responsible development of wind energy. Impacts on birds can be minimized or even avoided with careful planning and assessment. One of the most effective ways of reducing the impacts is the considered location of both the wind farm and its turbines. Unfortunately, much of Lesotho is not ideally located for wind farms, given the importance of the Maloti-Drakensberg area for vultures. BirdLife South Africa does not believe that we need to choose between renewable energy and birds. By working with wind energy developers, environmental consultants, and government and bird specialists, BirdLife South Africa’s aim is to ensure that renewable energy is developed in a way that is truly sustainable.